In 1908 the German Scientist Gustav Mie presented a description on how particles scatter light. in slices he was able to put the particle shape, the complex refractive index and phase into account. Mie contributed to this theory, its wide spread use of this name is adopted in this thesis. Dutchman P.J. Verheijen et al. have written a program to calculate the predicted scattered field. article his book can be found in the reference list. Mie introduced these coefficients and it contains the Ricatti-Bessel functions. They depend on the complex refreactive index or the relative refractive index m, x (equation 7-1) and and, . The relative refractive index is the ratio between the complex refractive index of the sphere divided by the complex refractive index of the medium in which the sphere exists. The variable x is commonly used to give the ratio between the radius of the sphere and the wavelength. W.J. Wiscombe uses z instead of x because x us used in equation 8-3 but I will continue to use x because it is commonly used in Bessel functions. These Ricatti Bessel functions uses the following properties. Hence when the Mie theory and the Beer’s law are combined the content and the concentration can be determined. The combination of these can result in an algorithm that will predict the content measurements and discrimination in an online environment. When there are multiple particles in the incident light we have to add S1 for particle, lets say a, and S2 for lets say b. If we have only one point for measuring S from a and b are in the same plane of the incident light, θ is lightly shifted. When a particle lets say c passes the incident light just after as a has left the light, the intensity at the photodetector changes from a to c. If x from c is bigger than x form a, the intensity detected at the photodiode will increase if the photodiode is placed ad a fixed small angle. With a flow of particles, each having an average distance between each other of 1um and the flow being 1m/s. the time between two particles to pass the incident light will be 1us. The cut-off frequency would be 100 kHz. This is a reasonable value to detect but the incident light have a certain length and therefore more than 100.000 with x between a and c will extinct. Now we are talking in regions of GHz. Not really a useful number. If there was an amplifier that could measure in the GHz regions the capacitance of the integrating capacitor would be smaller than the tracks to the leads of the amplifier. Hence the signal measured with a photodiode is an integral over distribution and time and angle. The angle integral is relatively small compared to the distribution and time. When we implement this knowledge into the Mie formulas we see that we can change the Mie coefficients. This theory is implemented in Oil in Water Discharge Monitor. 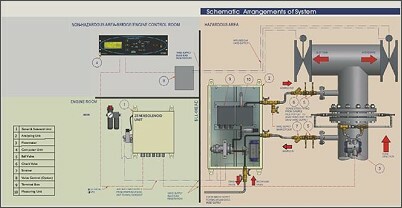 This system, in concept/theory developed by Esquisse, is sold by Rivertrace ltd. And Jowa. Esquissed developed all electronics/ pcb’s and the applicable algorithms. 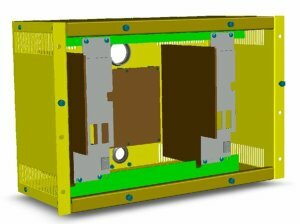 It contains intrinsically safe electronics and Zener barriers. Operating the equipment is extremely simple with the use of the “three button” menu. This prevents the user to make operational mistakes. Over 60% of all the new build ships all over the world contain one of these systems. With the same theory as the ODME, the Bilge monitor developed. 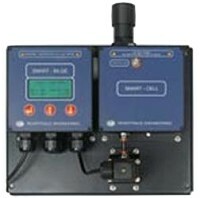 This equipment measures the oil in water concentration with the ability to discriminate oil from solids. 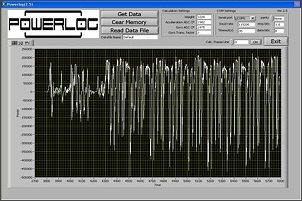 The powerlog is a sensor with PC software for automotive performance measurements. It measures independent of the vehicle, the Power in kW, speed, x-y accelerations, altitude, position and gyro (covering all DOF’s). All this data is stored in the Powerlog and can be read realtime or afterwards with a laptop. 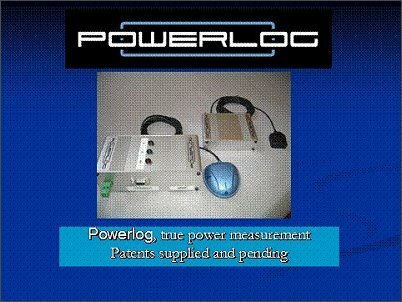 The powerlog is the only automotive absolute BHP-meter in the world. Installation time is 20 seconds. 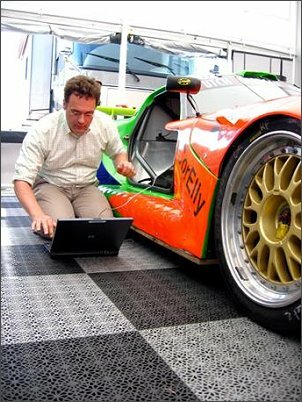 The PowerLog is approved by the “Applied Research Laboratory – Automotive” in Arnhem. 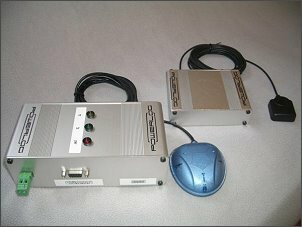 The PowerLog is/will be used in the FIA GT4, Supercar challenge ect. 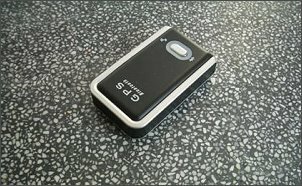 The Powerlog is a product of Esquisse. To get a certain amount of light out of a light emitting diode or other solid state light emitting devices, (to be named LED afterwards) the amount of current and voltage needs to be within certain limits. The light output can be regulated by changing the current through or voltage across the LED. The voltage across the LED when the LED is emitting is called the forward voltage (to be named Vf afterwards). Vf changes when the emitting material of the LED is changing temperature. The light emitting efficiency can also change with Vf, current or temperature. For most LED’s the Vf increases with temperature and therefore changing the emitted light. To keep the current and voltage within specifications of the LED, a form of regulation is needed when the LED is driven. Almost all LED drivers are current driven drivers. These drivers measure the current through the LED and keep it constant and some drivers are more intelligent and change the current also with change in temperature or emitted light. When more LED’s are driven in series, the sum of all Vf is taken. With, for example 35 LED’s a voltage of 150 could be needed. To increase to this level of voltage efficiently, it is common to use linear, boost, buck or combination circuitries. All these drivers have certain efficiency, usually dependent on with how much power the LED is driven. All current LED drivers generate heat and are not very efficient. When multiple LED’s are used in series the drivers need higher voltage discrete devices which make the driver expensive. Especially when a combination of different colour LED’s are used, easy predefined light settings can be generated and kept stable. The invention does not generate any heat and therefore very efficient. The invention has the ability to regulate on power instead of voltage or current. 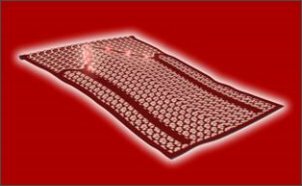 The invention has the ability to be manufactured in a standard wafer process. The invention has the ability to change the regulation slope to predefined values by changing voltage or current response. The invention does not any discrete components to be functional. The invention makes it easier to design an efficient power supply because of the fixed voltage output. 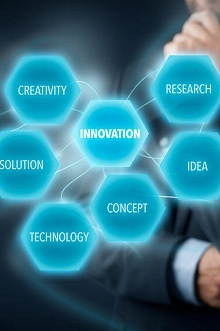 The invention can easily be controlled by a microprocessor or communication device. This gives the invention the ability to drive multiple LED’s and generate different light effects. The invention makes it possible to make pulses that can have any shape possible. The ratio of the gains from the Vf and the measured voltage across the shunt resistor can be set to meet the most optimal regulation. When there are large distances between the LED and the power supply, the invention can be placed close to the LED to be able to increase supply voltage and reduce cable losses. To improve efficiency, temperature dependency and other artefacts, a new LED driver is designed. This driver is hardly using power and can be fed by the Vf across the LED itself. Because the LED driver is extremely stable it can be used for LCD LED backlights, home lighting etcetera. The driver uses the given fact that a LED can be driven with power. This can be realized by driving the LED with pulses where the pulse with is regulated by the measured voltage across, current through and/or power consumed by the LED. This has the advantage that the power supply can be optimised for a predefined voltage. This predefinition makes the power supply more efficient. Because this driver can be placed at the minus side of the LED, no high voltage is needed to supply the driver and therefore making a realization for building the functionality in a chip fairly cheap. When a power supply of, lets say, twice the maximum Vf of the LED, the time the LED can be switched on must be reduced by such a duty cycle, that the LED does not exceed it’s stated maximum rating. This maximum rating is determined by the expected lifetime, and can be different from the supplier’s datasheet. The emitted light can be controlled by changing the duty cycle value of the driver or manipulating the measured led voltage or led current. The LED current can, for example be measured by a resistor in series with the led and the LED voltage can be measured across the LED. This measurement must be fast enough to keep the LED within its limits. The frequency of the pulse with modulated signal is chosen high enough to keep the die temperature of the led within such a bandwidth that it stays within its estimated lifetime. This means that the die temperature is kept constant with only slight fluctuations. The control loop is controlled by a measured signal that can be manipulated by predefined settings and drives the pwm controller. When for example the current through the led increases; the duty cycle of the pwm controller is decreased and when the control loop is controlled by current, the loop is closed and stable. Because the driver adjusts the on-time of the LED, it doesn’t regulate the current through or voltage across the LED but regulate the power averaged in time. This means that its supply voltage independent and capable of regulating the power through the LED up to 3 times the Vf of the LED at nominal conditions. Hence the whole control of the pwm controller is based on a voltage measurement across one or more LED’s and current through the LED’s. The voltage and current signal can be processed in a micro controller or analogue computer, to make its behavior more predefined. The calculation of the desired pulsed with modulation duty cycle can be solved hardware- or calculated software wise and can be made temperature or surrounding light dependant.. In the scheme the switching device is of a transistor type. This can be any kind of switching device. 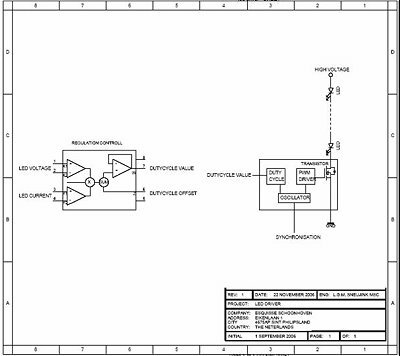 Synchronization of the oscillator can be used to use the invention for data transmission with multiple LED’s functioning as transmitter. On request Reference designs can be delivered for evaluation. The filament temperature is important for the lifetime of a fluorescent lamp. If the lamp is burning in a modulated mode, the lifetime and level of modulation greatly depends on the filament temperature accuracy. The filament is a tungsten spiral shaped in another spiral. The middle of the filament is coated with barium to stimulate the release of electrons. The filament resistance changes with temperature and in time. Therefore it’s difficult to maintain the same temperature of the filament. It’s clear that absolute temperature is the biggest factor in the equation. When a current flows through the filament, the temperature of the filament can be measured with a sensor that senses the emitted electromagnetic radiation on a wavelength that is not available in a burning lamp. With this signal the temperature of the filament can be regulated. To make an optically regulated power supply that regulates the consumed power through the filament to keep the filament temperature on a predefined value and detect if the filament is connected to its connection wires and detect possible other interesting lamp behavior. To prove the hypothesis several tests are performed to determine the wavelength of interest and its behavior. It is clear that the irradiance of the filament is cumulative on the lamp irradiance and in previous measurements the relation between irradiance and filament temperature is proven. When the intensity, for example around 870nm is measured the filament temperature can be determined. It is clear that the phosphor does not have significant influence on the radiated spectrum. Only small differences can be found in the visual band where absorption decreases the intensity non-laniary with respect to the wavelength. This means that clean lamp ends are not needed to measure the intensity. Measuring the filament temperature with a photodiode can be very attractive for the amount of information it’s giving with respect to the status and lifetime of the lamp and filament. Also increased irradiance during a cold start can be an advantage using this system. Enough literature is available to underwrite the hypothesis, this means old technique in a new application. The mecca finder is an electronic piece of equipment that always points towards Mecca or other pre-programmed destination. The mecca finder does not contain maps. It contains only one button so even small children/elderly can use it. The mecca finder is a joint venture with Rheinisches lichtwerk Gmbh. powersupply to realize increase availability. fails the other power supply takes over. Production will ramp up to 100 pcs each year. In the train towards London we met Mr. v.d. Winkel form Casala. We talked and we told him our business. He asked if we could develop a chair, conform the latest rules and regulations regarding. The chair should be easy to couple and stack. 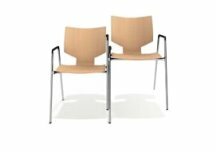 This resulted in the following chair which received the RED DOT award for excellent quality product design. Look for yourself and get carried away with the unique and fastest coupling chair in the world. 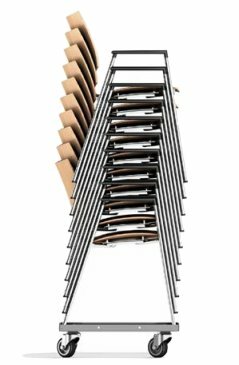 By using different steel types, tube diameters, wall thickness and extensive simulation, we were able to develop a chair that was strong enough. In total over 300 virtual models were made. The design is cooperation with Kommerkors. The production will ramp up to 100.000 pcs per year.